My 17 year-old sister, Aisyah, called Monday the 15th of October D-Day. Why? It marked her first HSC exam. English, to be precise. She happens to be one of those lucky students who had a protracted HSC over two years. Imagine being in HSC labour for that long. I felt burnt out on her behalf. After countless hours of going to school, revising at home, and of course, procrastinating, the time has come for my sister and her peers to shine. 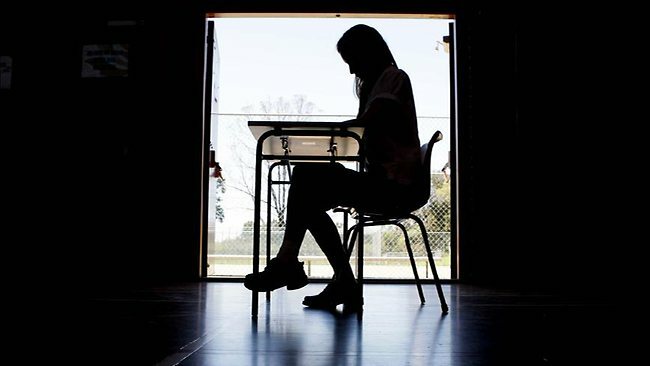 On the 19th of December, my sister and thousands of other teenagers in New South Wales will receive their HSC marks through – I kid you not – internet, SMS and telephone. Resistance is futile. No student can stay snuggled in a cocoon of denial because frankly, I don’t imagine any teenager being more than a handspan away from their iPhone/Android. On the off-chance that their mobile phone mysteriously malfunctions prior to December 19th, then their friends might resort to calling their home phones, or maybe, just maybe, turn up at their doors. Entire families will understandably be on edge on that fateful day. If the HSC doesn’t provoke enough anxiety for the average student and their family, then deciding what to study in university probably will. Choosing your university degree happens to be an important decision. Hats off to the 17 or 18 year olds who get their first preference, complete their degree of choice, and enter the industry. And stay in it. And actually enjoy it. For the rest of us, our journey to our careers is often a messy experience peppered with confusion, occasional despair and unforgettable sparks of ‘Eureka!’ moments. In the spirit of self-discovery, I’m a big proponent of the gap year. When I did the HSC eleven years ago, the concept of a gap year wasn’t even on the table. I imagined students who took a gap year to belong to a different kind of species. You know, the sort who could actually go overseas, do exciting things in far-off countries and maybe even win the Nobel Prize. I belonged to the hum-drum majority who did the, well, ordinary thing and went to uni like everybody else. Times have changed, and the gap year is a lot more attainable. After being in school since kindergarten, surely some time off would be a welcome breather, and an opportunity for growth! Time away from studies gives young people a chance to develop other skills. Working is a great way to earn money and stave off a HECS debt. Traveling is another way to widen horizons. Volunteering to help others who are less fortunate is definitely a noble pursuit. Mature-age students are testimony to the fact that life experience adds to your studies. I remember being a bright-eyed undergrad who marvelled at these mature-age students. These were people who had lived! They had travelled, some even had kids, and all of them had something I lacked – a steady, quiet confidence. I had barely lived beyond the confines of my high school. In the grand scheme of the universe, at the tender age of 18, I felt like a zygote amidst giants. Now that I’ve returned to study at the age of 29, I’ve become that mature-age student. Now that I’ve worked, travelled, and gotten married, I consider myself less of a zygote, and more of a multi-cellular organism. I’m still growing and changing, and realising with more and more conviction that making mistakes and changing your mind can be positive experiences, depending on your attitude. To all the students sitting your HSC this year – I wish you the best of luck. You’ve all worked so hard to get to this point. The finish line is within sight! If you do get a great ATAR and get your first preference, then congratulations. Admittedly, you’ll find out if you actually like your course once you start it. I know, that’s kind of annoying, especially with the whole ten-year life plan. But hey, think of it as an exercise in flexibility. I’ve learned through continual surprises that the only constant in life is change. On the other hand, if you don’t get the ATAR mark you want and miss out on your first preference, it’s okay to feel disappointed. I was too. I did my HSC in Ye Olde Days when getting into medical school required a UAI of 99.75. I missed out by a whopping 1.5, and I remember feeling crushed. The irony is when I did get into medical school as a post-grad student, I dropped out after completing half my medical degree. After all that, I realised that I didn’t want to be a doctor. I wasn’t sure what I did want to be, so I worked as a telemarketer, then flew off to the desert and lived there for about two years. That gave me plenty of time to think and experience a whole different world of possibilities. Now that I’m studying to be a counsellor, I’m grateful for the ups and downs of my life. I hope to offer my future clients the reassurance that no matter how much you think you’ve botched your life plan, life has a way of working itself out. My experiences show that you don’t know where life will take you. An ATAR that disappoints you may end up opening doors you never imagined. As cliched as it sounds, the HSC really isn’t the end of the world. It’s the beginning of a new one. You may not get the course you hoped for, but we’re lucky to live in a country where we have the flexibility of changing majors, degrees, and career paths. And if you do get your first-choice course and career, only to realise that it isn’t what you thought it would be, then it takes courage to stop and readjust. Don’t be afraid of stepping out of your comfort zone. Sure, people may be aghast if you quit your high-flying investment banker job to be a pottery instructor, but if that’s what brings you joy, then stick to it. Being open to what life has to offer is part of the joy, and terror, of growing up. Looking back over the past eleven years of my life, I realise now that the 18 year-old me had to go through several detours, road bumps and country relocations to be where I am today. So for all the students sitting their HSC this year – know that you have your own unique journey, and completing the HSC is the beginning of a brand new chapter in the story of your life. This entry was posted in Culture, Featured and tagged exam, HSC. Bookmark the permalink.